A new approach by a startup has made way for a dream. This startup called Nikola motors wants to make hydrogen trucks a popular tend in the whole world. You might have heard about hydrogen trucks, they are trucks with minimum pollution and amazing efficiency rate. There are giants such as Toyota following this trend but if we want to rate its progress then we can compare it to snail. In these conditions we have amazing chances for startups and Nikola motors seems to have seized this opportunity to make the most out of this trend. They want to make hydrogen trucks in such a way that these trucks turn into a popular choice for road transfers by 2020. This startup has identified the block in order to grow popularity of hydrogen trucks. There are many companies who have tried to introduce new hydrogen trucks but none of them succeeded because of one simple thing: refueling stations. There are not enough places that driver can refuel such truck and this leads to resistance against using them. So Nikola motors have decided to make more than 300 stations all around USA to make it easier to work with these trucks. Right now we have only 33 hydrogen stations in the whole USA and we can see why hydrogen trucks didn’t make it. 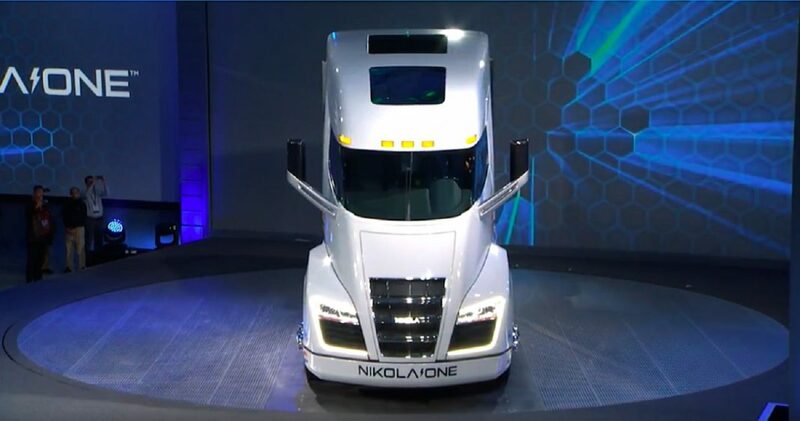 But using this new approach from Nikola motors we can finally see a bright future for these trucks. This company has already introduced its truck in 2017 and their CEO Trevor Milton announced this new plan to make it official. Nikola Motors made hydrogen trucks that can run 124 Miles with a full thank (almost 200 Km) and this distance is fair enough for a hydrogen truck. So once again another startup has plans to change the world and they will turn it into a reality by 2020.